Most coaches and trainers know that the glutes are an essential muscle when it comes to sport performance. Explosiveness and speed are just a couple of the main benefits that come from having strong glutes. Athos reveals muscle specific measures that coaches and trainers can leverage to monitor glute contribution of their athletes. In fact, we’ve determined healthy ranges for athletes by looking at things like glute to hamstring ratios. Learn more about the work we’ve done around understanding just how powerful the glutes can be to unlocking optimal performance. 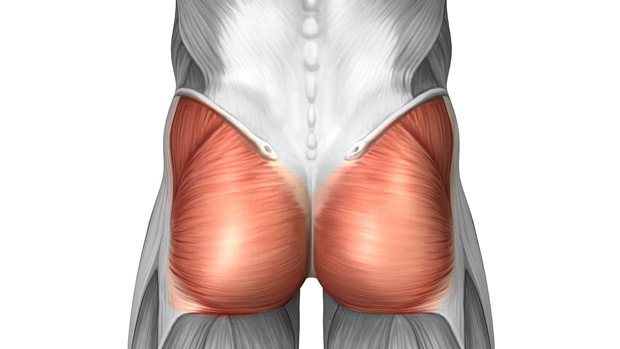 The gluteus maximus is the largest muscle in the body. It is the primary hip extensor and is critical as a pelvis stabilizer which allows us to stand upright. The muscle helps stabilize the sacroiliac joint (Vleeming et al., 2012) and to reduce excessive pelvis movement during motions such as a squat (Vakos et al., 1994) by connecting to the back (thoracolumbar fascia) to assist in transferring force from the upper to lower body. When the hamstring is used in place of the gluteus maximus, it places athletes at greater risk of injury. Reduced glute strength is associated with injury risk in hamstring injury, patellofemoral pain (Ireland et al., 2003), and sacroiliac joint dysfunction (Vleeming et al., 1995; 2012). While this muscle is critical in both hip extension and stabilization of the pelvis, it is notoriously difficult to activate due to an overreliance on the hamstrings for hip extension (Parr et al., 2017). Athos provides electromyographic sensors that are embedded into clothing. Using Athos sEMG sensors, coaches can monitor the relative contribution of the major lower leg muscle groups. Based on practice sessions from over 300 professional and Division 1 athletes, we recommend a normative range of > 30% of the Athos training load come from the glutes. We derived this from finding the average glute contribution, and how much this varied within a given athlete and across all of our athletes. 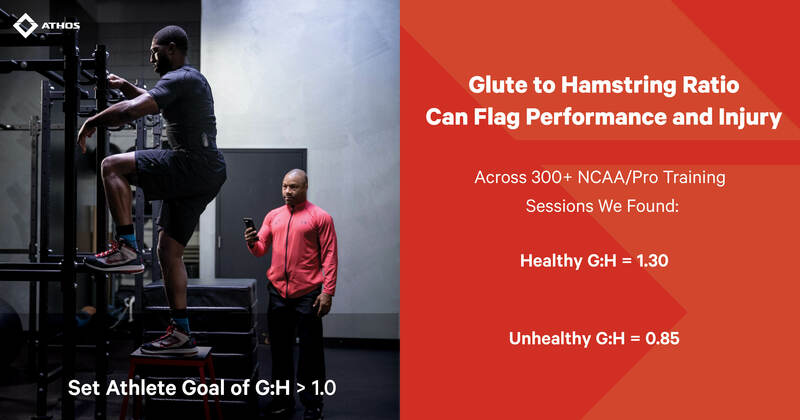 From here, we found that 90% of healthy athletes had glute contributions above 30%, while an injured group of athletes predominantly used their hamstrings. While this may differ depending on practice activities, a coach can track the contribution from the glutes across days and sessions to ensure an athlete does not shift load dramatically to the hamstrings and thus increase their risk of injury. For example, two athletes performed 7 or 8 repetitions of 400 meters on a track. Below the blue bars shows a decline in glute activation and an associated increase in the orange bars indicating hamstring activation for both athletes. Based on this, the coach could conclude that the athlete is compensating for fatigue by altering muscle activation patterns. Based on our data, if the glute contributions is below 30%, the coach could stop the athlete and perform glute activation drills. 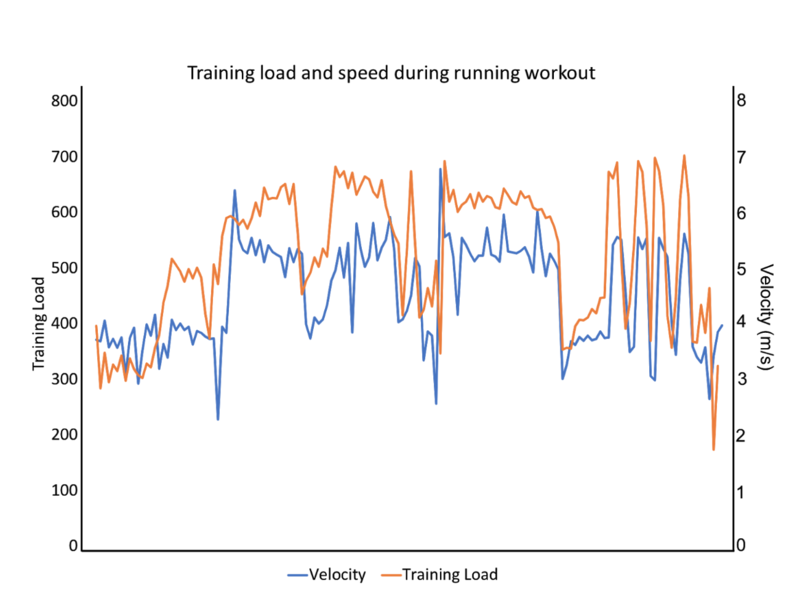 A coach can then prescribe a set of drills or intervals for their athletes, but it is impossible to know how the athletes are shifting their muscular coordination patterns to maintain their performance. Coaches can use this information to target specific muscle groups for athletes in strength training. Below shows the athletes in the weight room working on their posterior muscles with 6 deadlifts at a submaximal load. 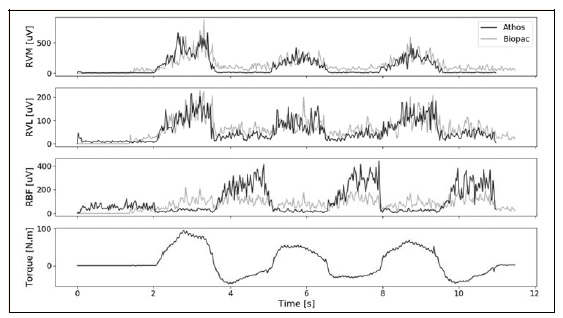 Athlete 1 shows a glute contribution above 30% for each repeat, while athlete 2 shows the same decline in glute activation as seen during the running intervals. This athlete may need specific cues to focus on glute activation, which can translate into performing the deadlifts with a greater contribution from the glutes. With Athos, a coach can see these changes and adjust practice programming, strength training, and cues for an athlete to change this. Parr M, Price PDB, Cleather DJ. Effect of a gluteal activation warm-up on explosive exercise performance. BJM Open Sport & Exerc Med. 3:e000245, 2017. Ireland M L, Willson JD, Ballantyne BT, et al. Hip strength in females with and without patellofemoral pain. J Ortho Sports Phys Ther 33:671–676, 2003. Vakos JP, Nitz AJ, Threlkeld AJ, Shapiro R and Horn T. Electromyographic activity of selected trunk and hip muscles during a squat lift. Spine 19:687-695, 1994. Vleeming A, Pool-Goudzwaad AJ, Stoeckart R. The posterior layer of the thoracolumbar fascia: its function in load transfer from spine to legs. Spine 20:753-758, 1995. Vleeming A, Schuenke AT, Masi JE, Carreiro L, Danneels FH, Willard. The sacroiliac joint: an overview of its anatomy, function and potential clinical implications. J Anat 221:537-567, 2012.